How can radioactivity be measured? Radioactivity is measured by detecting the products of radioactive decay processes. The most well-known instrument used for this purpose is the Geiger counter. A Geiger counter is sensitive to the products of nuclear decay, including alpha and beta particles and gamma rays. The units used to quantify radiation are the Curie or the Becquerel, which describe the number of nuclear decays a substance undergoes per unit of time. In many cases, it may not be necessary to directly detect the radiation being given off at this instant, but rather to just determine the isotopic ratio of an element present in a sample. This can be done using techniques borrowed from analytical chemistry, such as mass spectrometry. Information on the isotopic ratio present, along with knowledge of the half-life of the isotope in question, can be related to the age of the sample being studied. 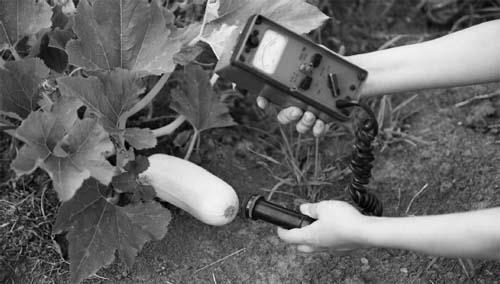 A Geiger counter is a useful tool for measuring radioactivity in almost anything. It can detect alpha and beta particles, as well as gamma rays.